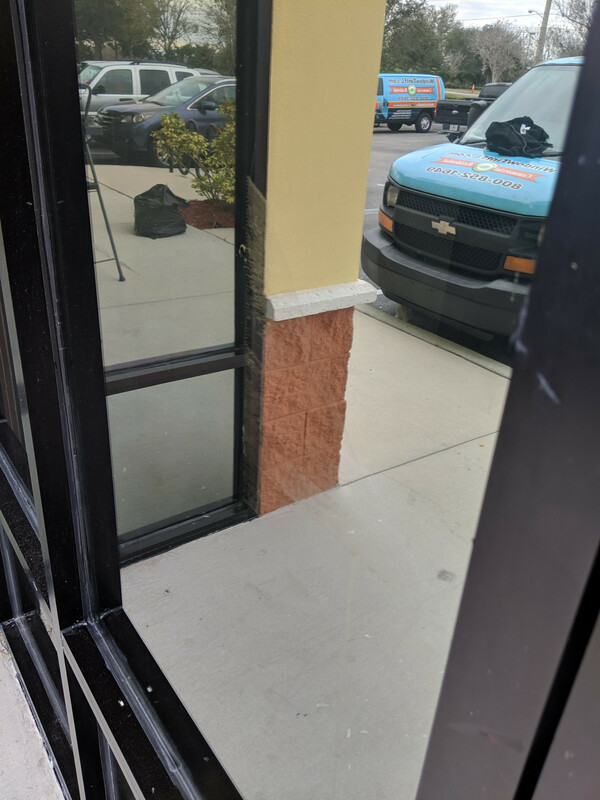 Mirror privacy tint was installed in this Orlando storefront. 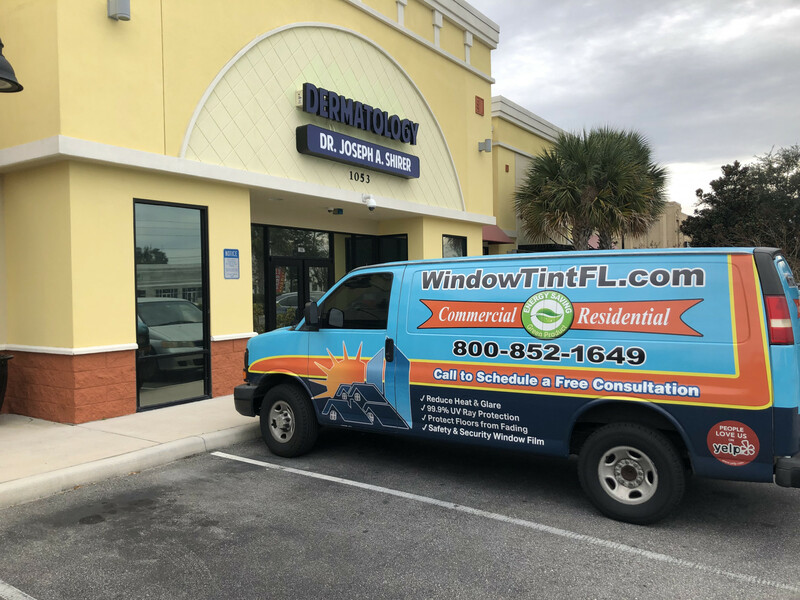 Commercial window tint such as mirror tint is a popular solution for blocking glare front storefront windows as well as heat and damaging UV rays. Mirror tint provides a natural view out from the inside yet privacy from anyone looking in during the day. 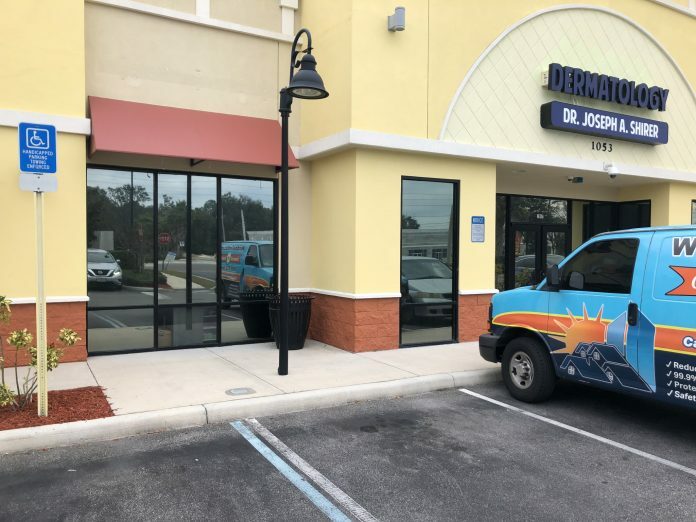 Commercial window tint installations are typically completed in under a day and make a drastic difference. Blocking 99.9% of damaging UV rays can protect your skin as well as the floors, furniture and merchandise in front the window. 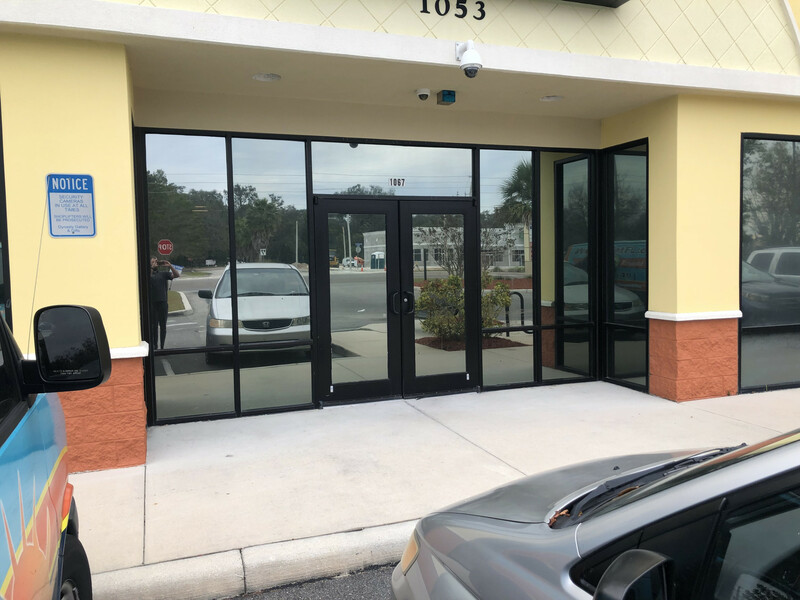 Commercial window tint in Orlando is a great solution for privacy, heat reduction, uv protection as well as security with many security window film options available.